Tigers watched the game slip away early and couldn’t recover in a 6-2 loss to Decatur Central the defending 4A State Champion on Saturday. Decatur Central took the lead on a single in the first inning. Decatur Central scored three runs in the fourth inning. Lebanon showed life in the 5th with single by Jenna Weaver followed by hit by pitch that put Lexi Puckett. Sarah Tribby put down a perfect sac bunt to move the runners followed by a Payten Redman fielders choice to score Weaver and Puckett scored on a ground out Abbi Wirey to complete the Tiger scoring for the day. Abigail McPherson took the loss for Lebanon. 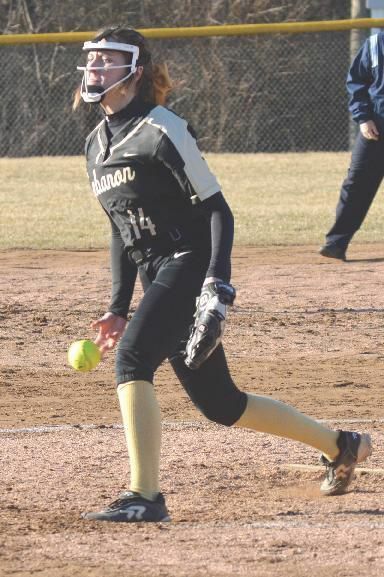 She allowed nine hits and six runs over seven innings, striking out six. Abbi Wirey led Lebanon Tigers Varsity with two hits in three at bats.